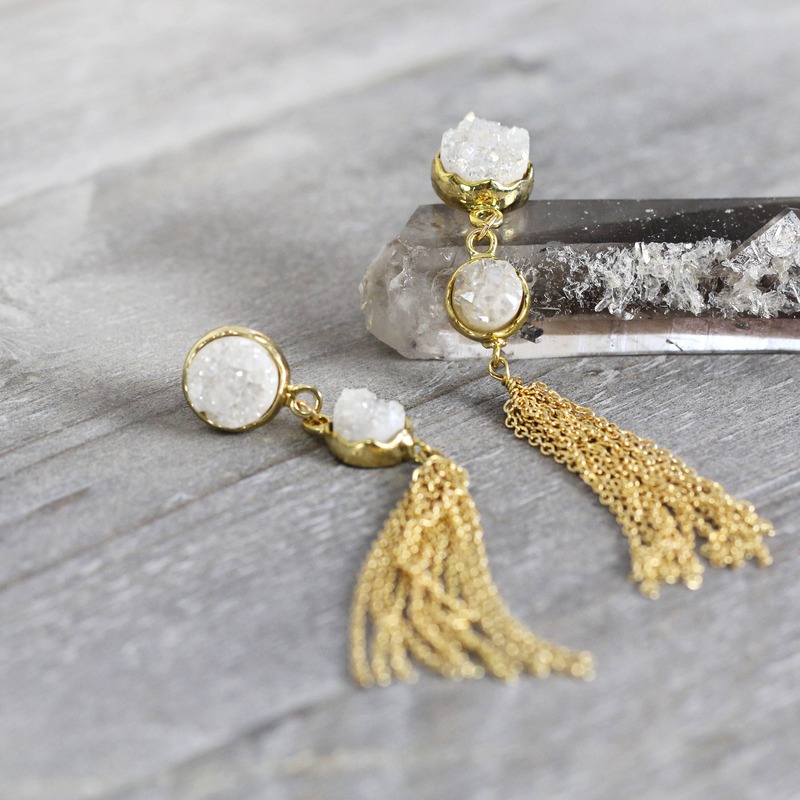 Chic and super stylish, these white druzy tassel earrings add elegance, statement and glamour for any season or outfit. 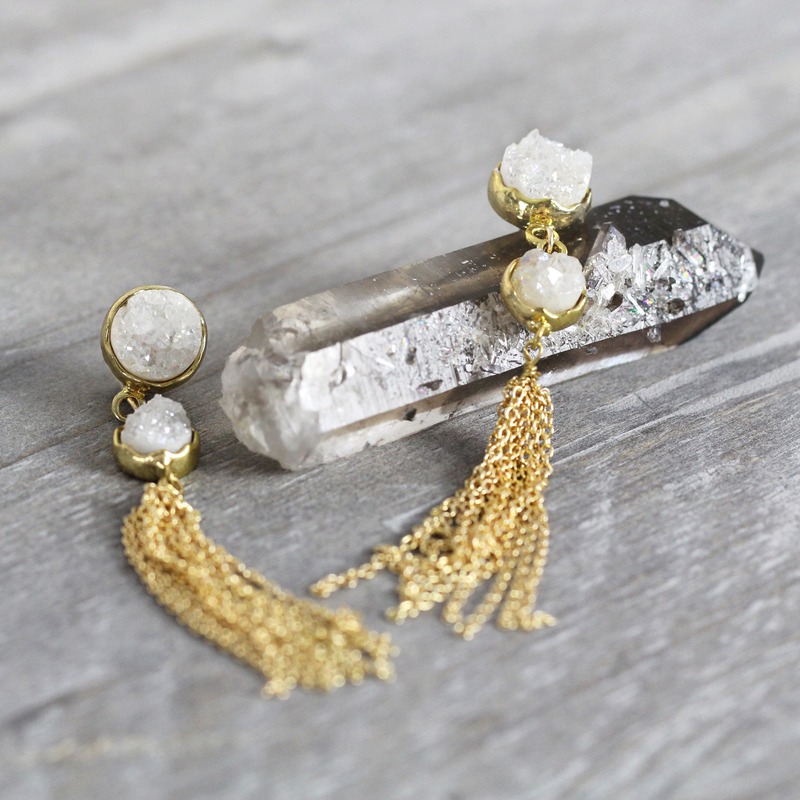 Perfect party earrings, these long statement earrings will help you breeze through all your evenings with style and ease! With their great length, and the fabulous way they swing and sway, they look stunning with just about anything, whether jeans to a dress. 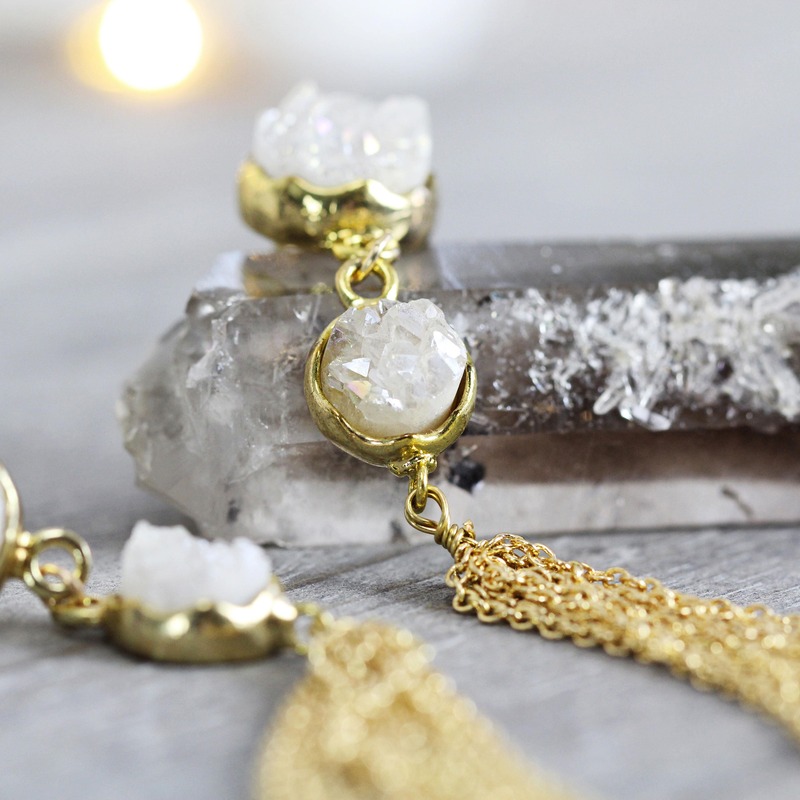 Gorgeous, sparkly white druzy stones have been finished with a subtle titanium coating that gives them extra sparkle and iridescence. The stones are set in a top quality bezel setting with a wavy edge to show the stone off at it's best. 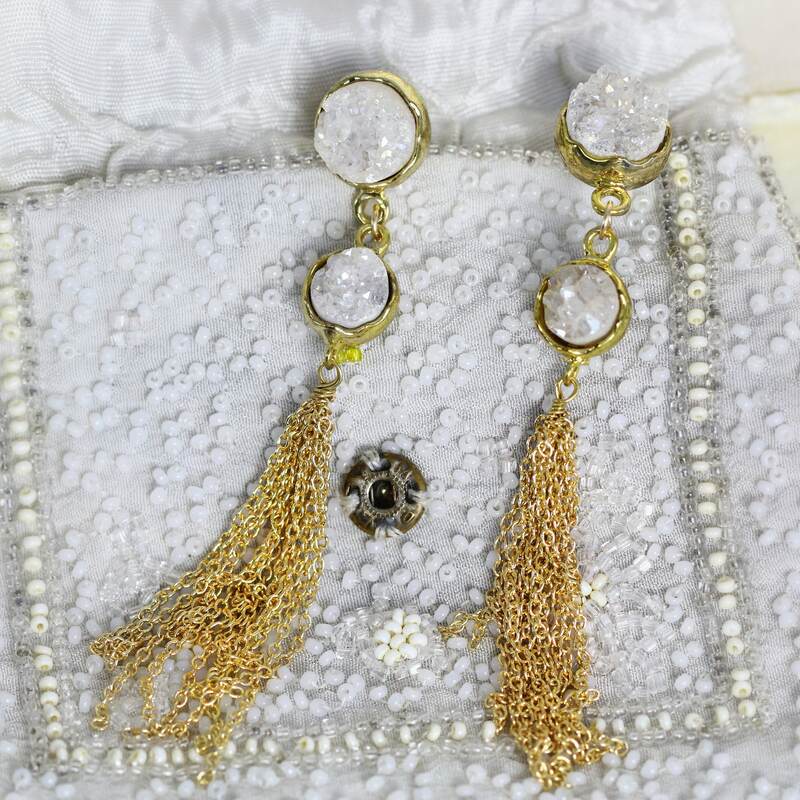 The tassel is comprised of gold plated chains which give a delightful, fluid waterfall effect with great movement. They really do catch the eye and make a great impression! The ear fitting is a stainless steel ear post, which can be helpful for anyone with allergies to metals. 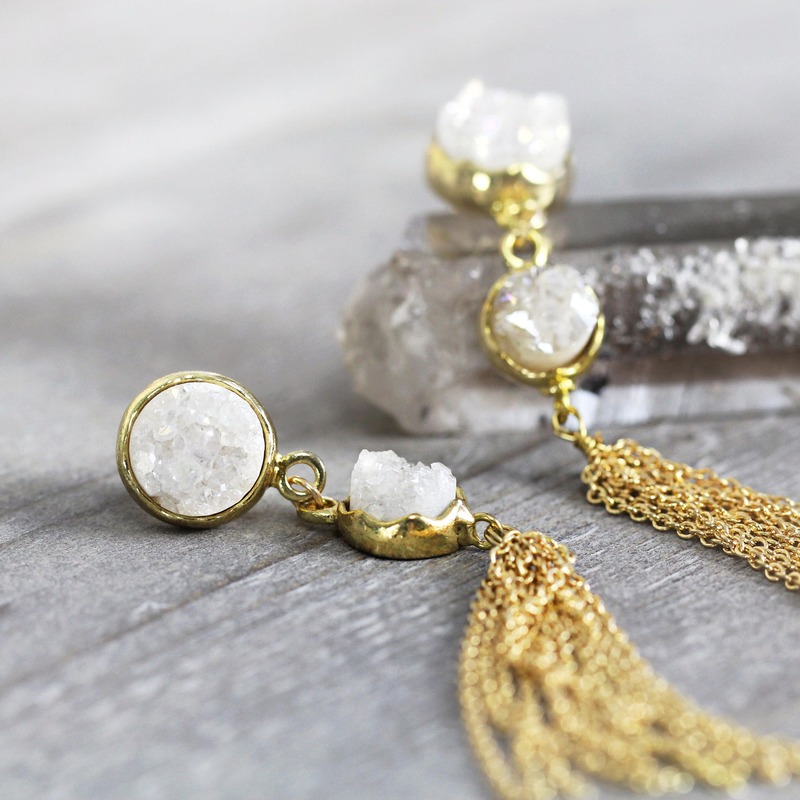 Lightweight, luxurious and easy to wear, these druzy earrings make a fabulous gift for friends, family and loved ones. * Earrings measure approx 8.5 cm. from top to tail. 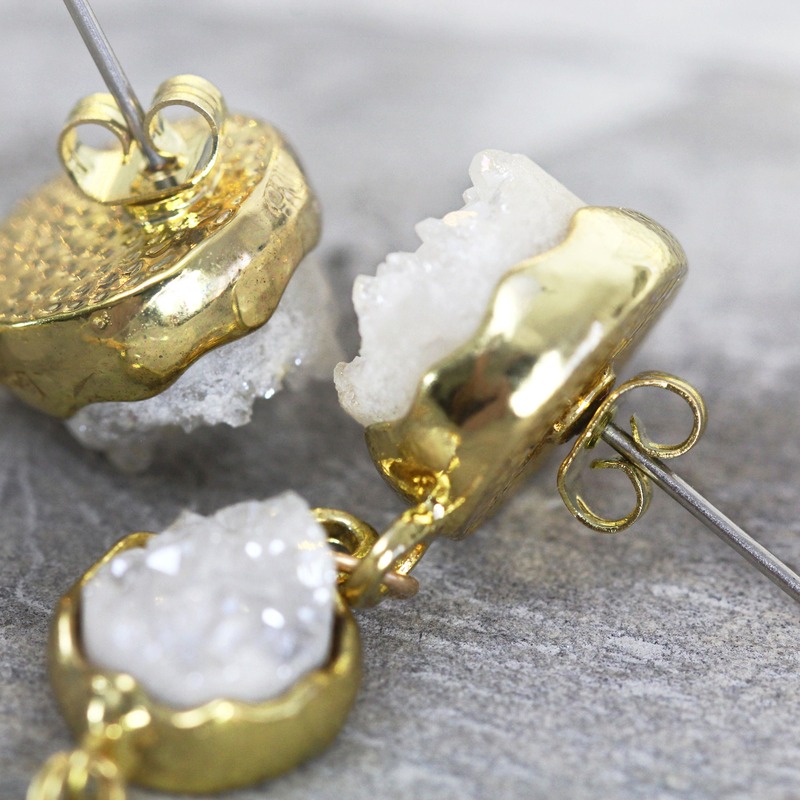 * Top druzy stone approx 1 x 1cm.